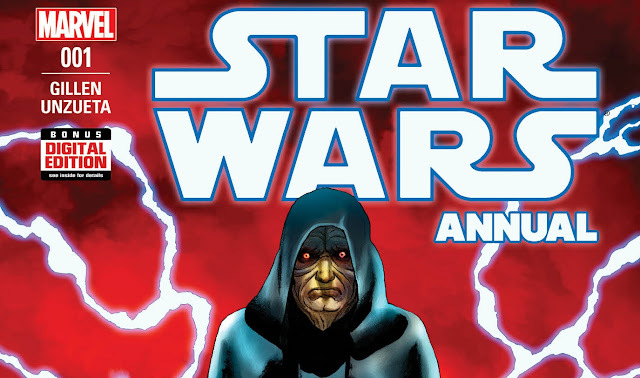 Star Wars comics have been doing excellent lately under the leadership of Marvel, introducing several successful and critically acclaimed series. Earlier this week StarWars.com announced that two of those series, Star Wars and Darth Vader, will be getting their own annuals that are set to be released this December. For those unfamiliar with the concept, Annuals, as the title implies, are yearly oversized issues and has been a longtime comic book tradition. 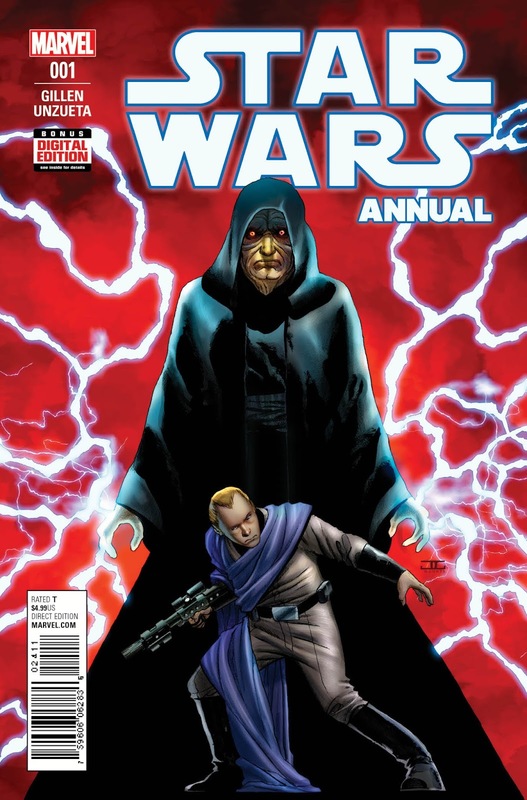 Both Star Wars Annual #1 and Darth Vader Annual #1 include 40 pages of all new stories and are priced at $4.99 per issue. "In Star Wars Annual #1 (40 pages, $4.99), by writer Kieron Gillen and artist Angel Unzueta, Rebel spy Haarkon Dak has been undercover in the Imperial bureaucracy for years — and may be the only chance that Rebel-sympathetic senators have to survive. 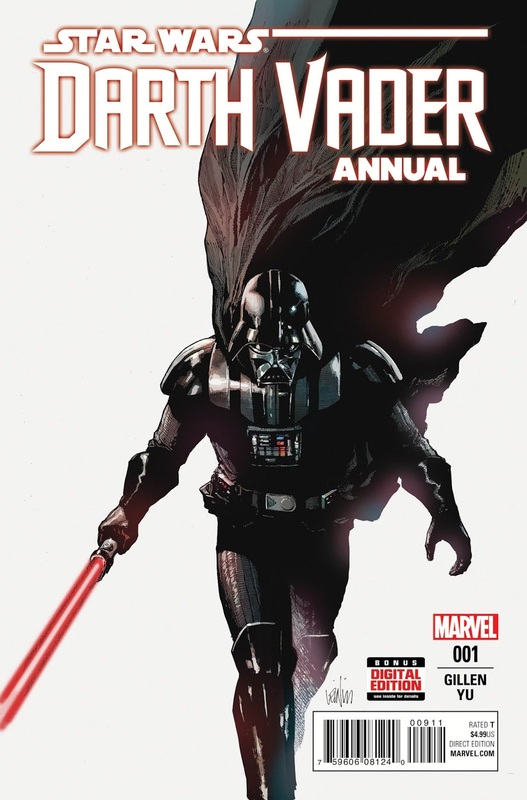 Darth Vader Annual #1 (40 pages, $4.99), by series writer Kieron Gillen and artist Lenil Yu, finds Darth Vader heading to the planet Shu-Torin, where the Sith Lord seeks to destroy an uprising against the Empire."